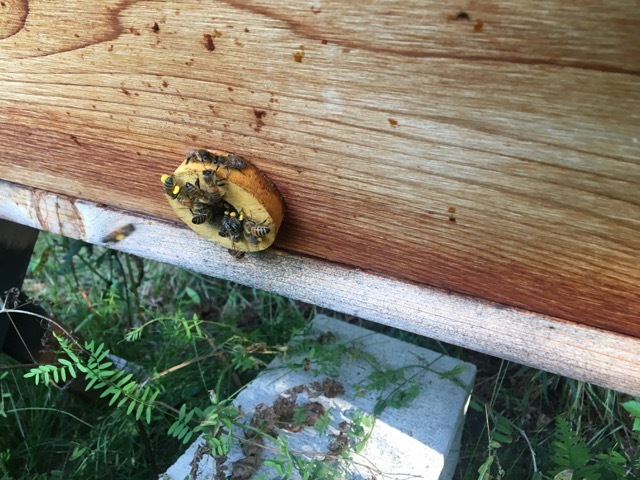 It’s been a little less than two weeks since I last inspected the hives. The feeders are all prepared and I made syrup to put into them. At this time of year it’s good to make the syrup in a two to one ratio. The syrup I made was was about two to one and a half. Then I added some homemade essential oil treatment to the syrup. 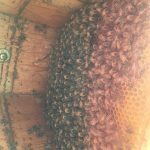 The Willow Hive is still growing well they have lots of brood at all stages. This queen looks so good. She is a beautiful color and is nice and plump. 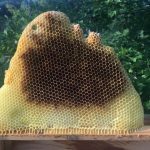 The bees are not building any new comb, so I removed the empty bars. 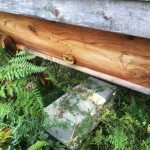 I placed the empty bars over the feeder area after placing the feeders in the hive. 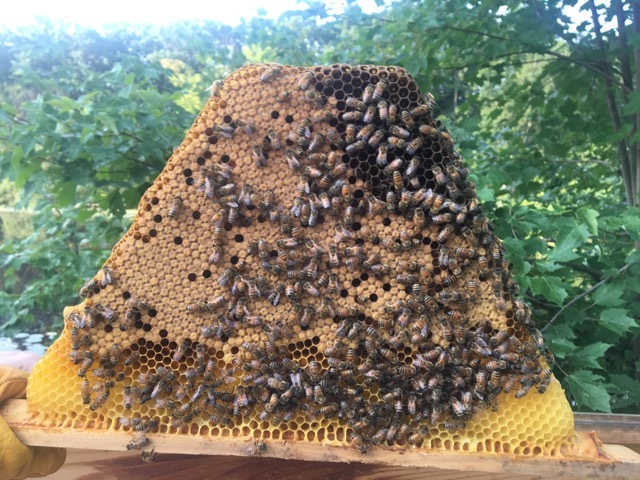 Some nectar and capped honey was in the hive, but still not much. I will need to come back every two or three days to check on the feeders. 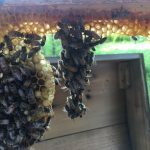 This colony will need to increase their supply tremendously before winter sets in. 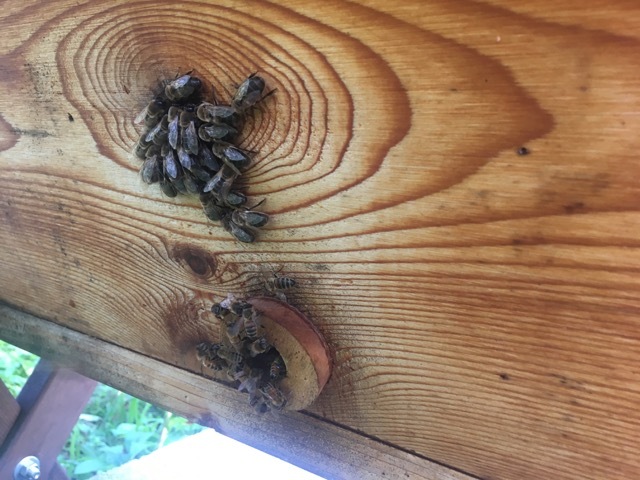 The good news is that the bees were very easy to work with this time! It was so nice to see this colony calm and easy going again. They must be very happy with their new queen. This is the time of year when robbing tends to begin. After all of the loss the last two years to robbing, I decided that I needed to be proactive this year. I made a contraption that I call a baffle last year. It’s a simple thing made of some leftover wood pieces and some screen. 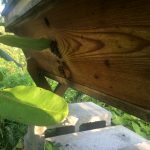 I stapled it together to create a baffle to put over the entry of the hive. 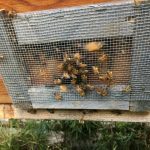 Only one or two bees can get in and out at a time. 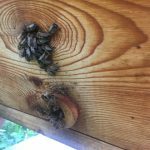 This helps to reduce the chance that robber bees will be able to get in and take over. 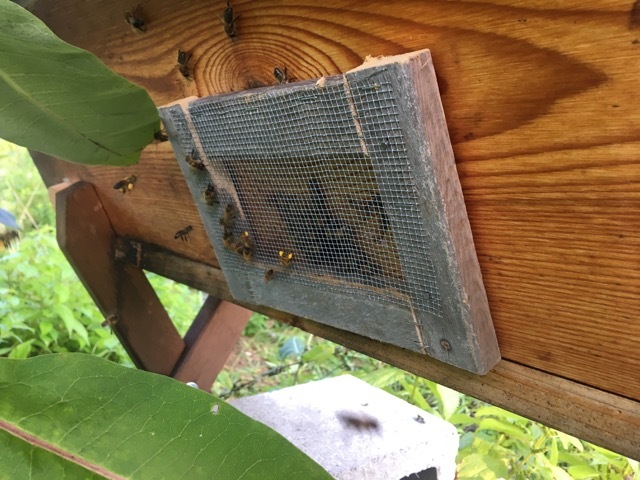 It makes it easier on the guard bees to guard the entry, so I put it on today. 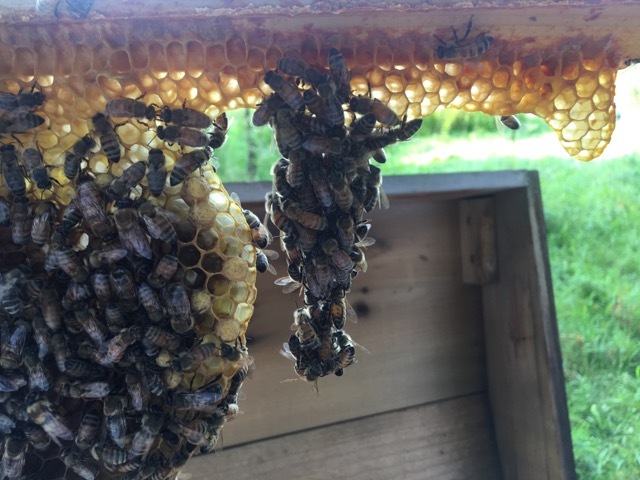 At the Orchard Hive, I didn’t inspect all of the bars this time. 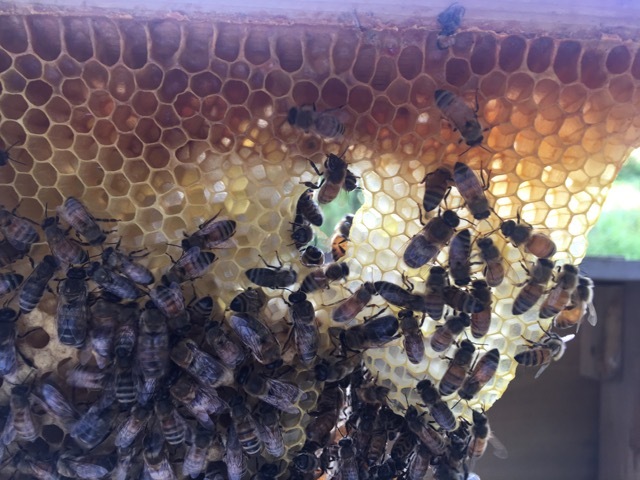 I found the queen and some brood. 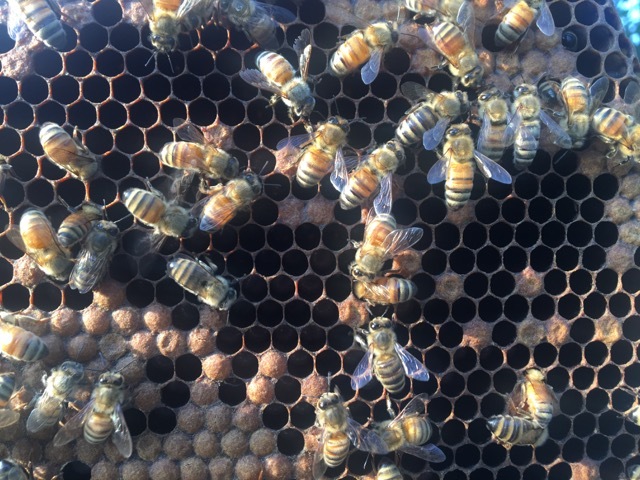 On the bars that I did inspect there was a little nectar and no capped honey. 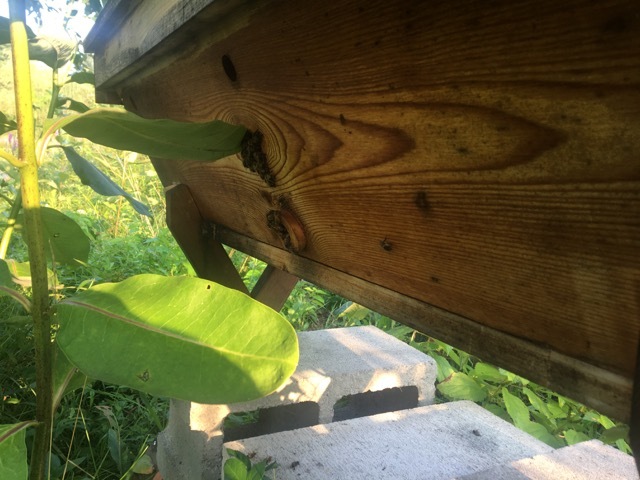 I added the a double feeder to the hive, but it doesn’t fit well. 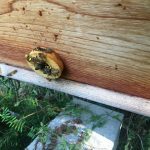 I am not able to have the divider board in the hive if I have the feeder in there. 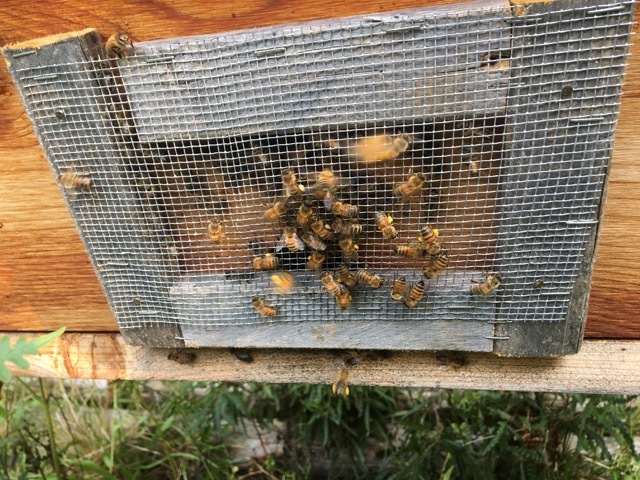 The colony is big enough that I am not able to shrink it enough yet. They were quite angry and aggressive today. I think that they are unhappy about the nectar dearth. The fall flow should be coming soon and I hope that they will be happier when it’s here. Soon I will need to figure out what to do about the feeder. 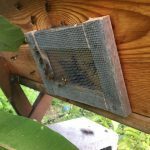 If I can reduce it to a single feeder then I will be able to fit the divider board in between the colony and the feeder. 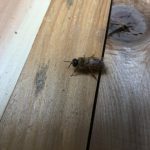 My sad news comes from the Healing Hive. 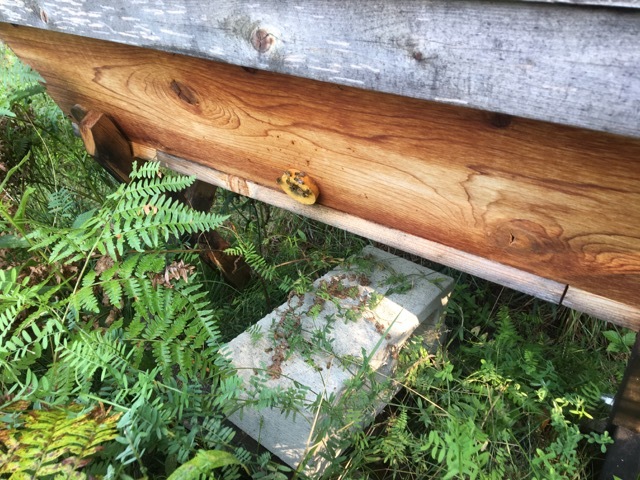 When I walked up to the hive, there were very few bees coming and going. As I opened the lid, I could hear that sad, mournful buzz that I had heard before. It was a heartbreaking sound. Without even opening the bars, I knew that things were not good. 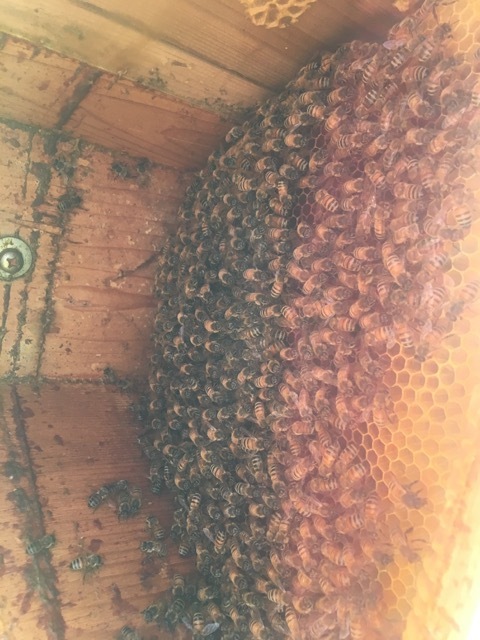 During the inspection, I did not find any eggs and all of the capped brood was drone. 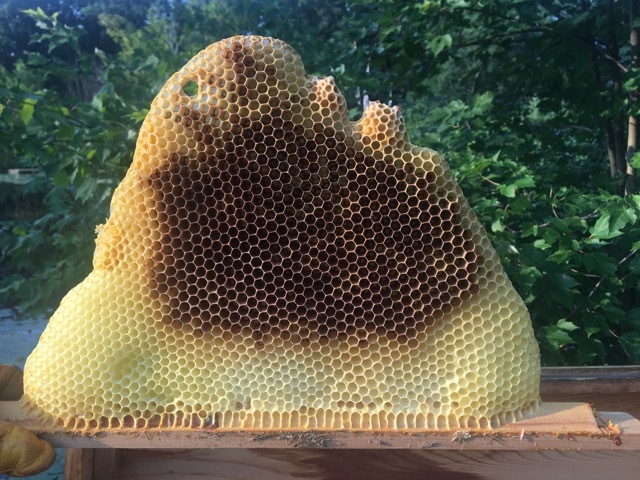 There were six bars of capped drone brood. There were quite a few very small drones. 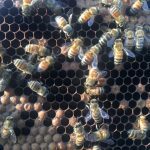 It appears that the queen can long lay drone eggs and she was laying them in the worker cells, so they emerged much smaller than the average drone. It was also obvious that the colony was unhealthy. There were a lot of drones that had deformed wing virus. 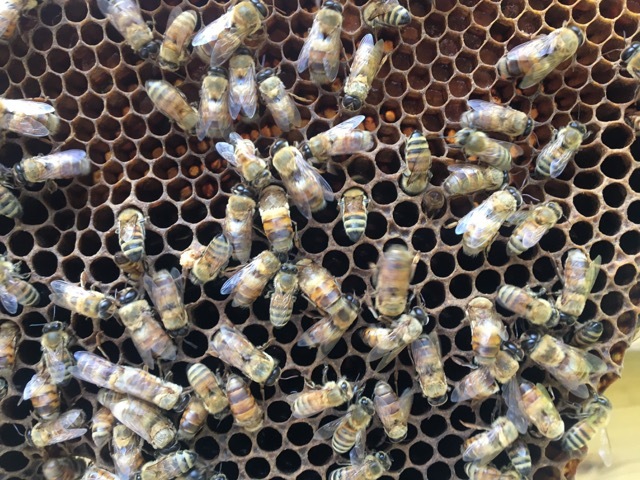 I saw the queen again during this inspection and there were two capped queen cups. 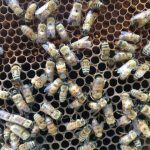 I am certain that there are drone pupae in the queen cups. 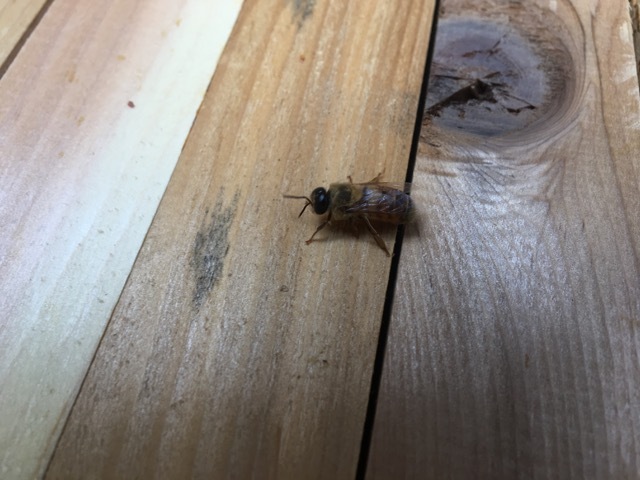 This colony is not going to make it and there is really nothing that I can do to help them. It is always very sad to realize that a colony is not going to survive. 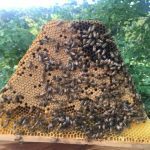 It’s so interesting to have three hives in the same town, two of them on the same property, but there are so many differences. The Willow queen and the Orchard queen were able to mate well and have not had any issues. The Healing queen, who was less than three miles away, had a very different experience. 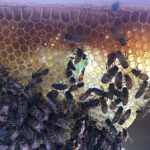 It is a success that two of the three queens are doing so well and I am very happy that I did not have to intervene.